The global economy is sluggish and the economic effects are being felt in every country. The question is who or which country is being hit worse. “Lifestyles have been affected and everyone needs to adjust their spending, rough through the tide. 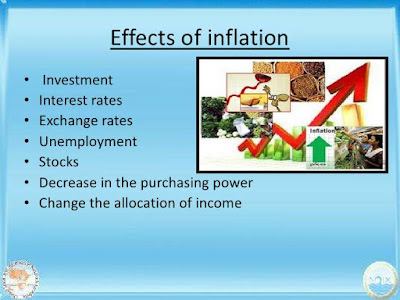 Rising inflation dictates that we must stretch our Ringgit,” Gerakan Deputy Speaker Syed Abdul Razak Alsagoff said. He said: “Nothing is perfect in this world. We must face reality, make the best of what we have or are available, and persevere to overcome all hardship and obstacles. Syed Razak said according to the Statistics Department, the inflation rate was up 3.7% last month (August 2017), exceeding forecast. “We are not sure whether the situation will deteriorate further or improve. But, we all must face reality and spend wisely. Spend only on what is necessary and be prudent,” he added. “But that is not going to help us one wee bit. We have to take measures to help ourselves. Believe me, God only helps those who help themselves,” he added. KUALA LUMPUR: Malaysia's inflation rate rose at a faster pace of 3.7% in August 2017 from a year ago, exceeding a forecast of a 3.4% increase, mainly fuelled by higher petrol prices. 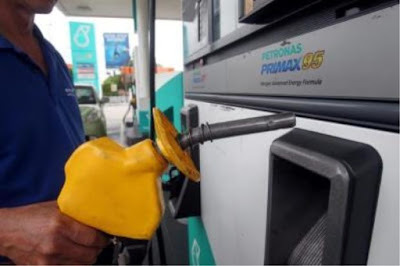 The Statistics Department said on Wednesday the average price of one litre of RON95 petrol was RM2.12 in August versus RM1.75 a year ago. As for RON97, the average price increased to RM2.39 from RM2.10. When based on a seasonally adjusted term, the overall CPI for August 2017 increased 0.9% compared to July 2017. ”Core inflation rose 2.4% in August 2017 compared with the same month of the previous year,” due to higher food and transport prices,” it said. 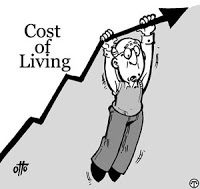 The department said the year-on-year rise in CPI for August was due to increases in the indices for transport (+11.7%), food and non-alcoholic beverages (+4.3%), restaurants and hotels (+2.8%), health (+2.7%). Other groups which recorded increases were furnishings, household equipment and routine household maintenance (+2.7%) and housing, water, electricity, gas & other fuels (+2.4%). “The index of transport group showed a significant increase of 11.7% on a year-on-year basis in August 2017, after rising 7.7% in July 2017,” it said. The index for food and non-alcoholic beverages – which accounted for 30.2% in the CPI weights -- increased 4.3% in August 2017. The increase was driven by food sub-group index which comprised of oils and fats (+39.2%), fish and seafood (+8.1%), fruits (+3.2%) and vegetables (+2.9%). As for “food away from home” index, it continued to rise in August 2017, up 4.8%. The increase in the index for food and non-alcoholic beverages was reflected in most states in Malaysia especially those in highly urbanised states such as the Klang Valley, Penang, Johor and Melaka. Six states recorded higher increases for food and non-alcoholic beverages index above the national level index for August 2017. The index for food and non-alcoholic beverages rose 5% in Johor, 4.9% in Melaka, 4.8% in Penang, 4.8% in Sabah and Labuan, 4.8% in Wilayah Persekutuan Kuala Lumpur and 4.5% in Kedah & Perlis. 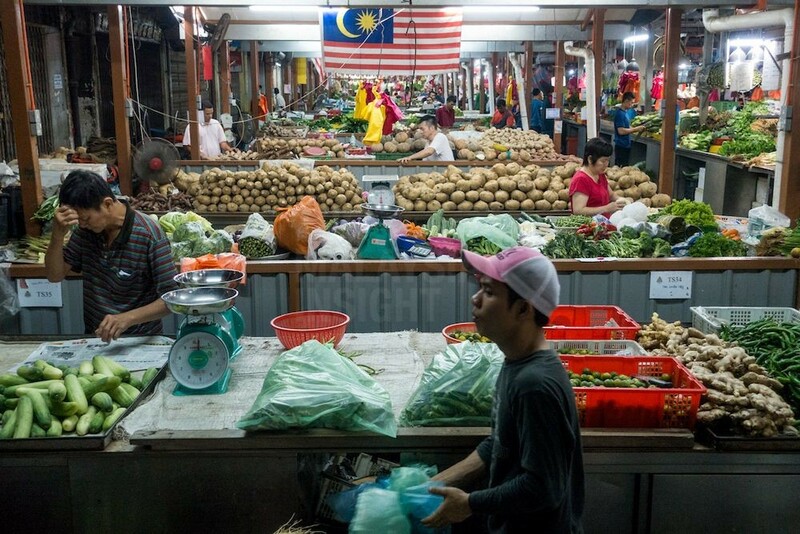 Most Malaysians still shop at wet markets and hypermarkets to save a few ringgit. – The Malaysian Insight file pic, September 12, 2017. With the cost of living a major concern for many Malaysians, The Malaysian Insight takes a closer look at how some families are stretching the ringgit. 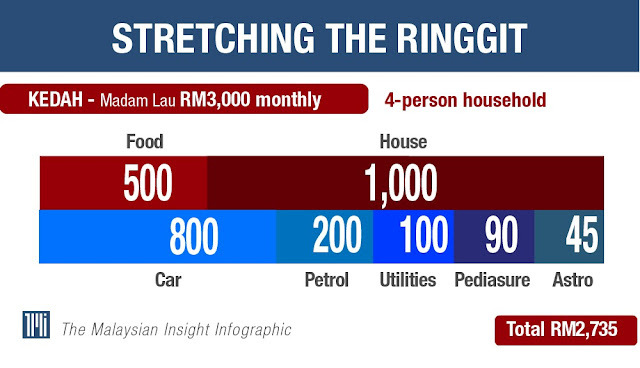 Yesterday, we looked at households of five to seven people, whose combined earnings are between RM3,000 and RM4,000. The households with a monthly income of less than RM3,900 are also in the B40 (bottom 40%) category. Today, we look at households with the same combined income bracket but with fewer members, to see what their challenges are. DEPENDING on household size and other variables, such as help from extended family and vehicle ownership, some B40 households are able to scrape by with funds left over for savings and emergencies after paying for essentials. These savings are in the range of a few hundred ringgit only, or about RM2,000-plus. 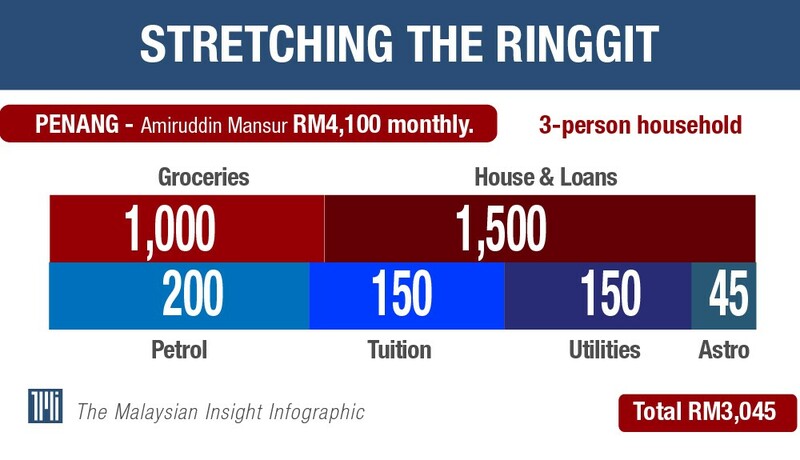 For the most part, most B40 households spend almost 80% of their income on essential expenses, according to a 2017 report by Malaysian Institute of Economic Research (MIER), “Be prepared for subsidy-free system”. Families interviewed said housing, car loan and groceries take up most of their budget. Costume-jewellery seller Madam Lau and her husband make about RM3,000 monthly. She operates a stall in a hypermarket while he sells the jewellery at night markets in and around Kulim. The couple, who have two children and live in Taman Selasih, Kulim, do not cook at home because of the nature of their work and spend about RM500 eating out each month. “As we both work long hours, we are hardly at home. So, we don’t cook. We also often eat at my mother-in-law’s. “When we do not, we buy food from economy rice stalls, which is not very expensive,” said the 37-year-old. The one expensive item on their food bill is PediaSure milk powder, which cost RM90 for the 850g tin for their 2½-year-old child. “My kids are still small so there is no need to spend on tuition. We are also lucky their grandma can take care of them while we work. No day care expenses needed,” said Lau, who has a credit card which she uses for emergencies only. On what is left at the end of the month, she said: “Since everything depends on how good sales are, I can’t really say how much we have left. But we make sure we have some left to put away. You have to, when you have kids to raise. 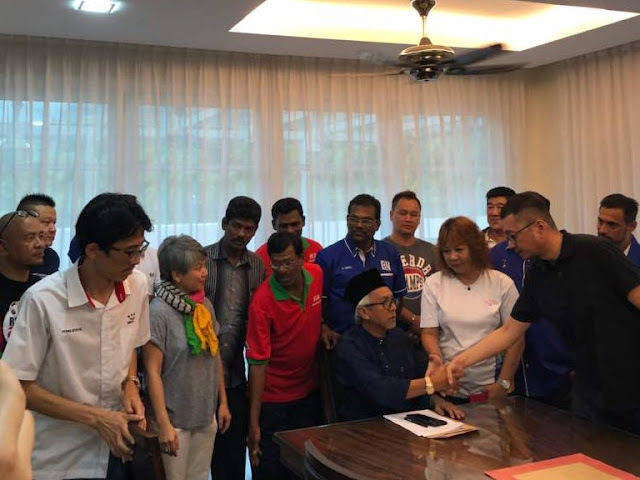 In Butterworth, furniture salesman Mohd Sabri Othman, 34, once earned more than RM100,000 a month when he worked in a training firm in Kuala Lumpur. 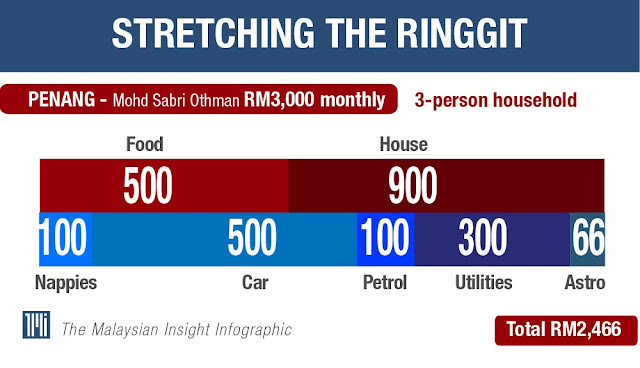 These days, the sole breadwinner makes about RM3,000. “When the business got into trouble and closed, we lost money, so we moved back to Penang after having our baby. The family spend RM500 on monthly groceries at morning markets and hypermarkets. The items are mostly staples like rice, chicken, fish, vegetables, sugar and milk powder. The most expensive non-food item is nappies which cost RM100 monthly. He also said his high utility bill was because of frequent use of air-conditioning since his son has eczema. Sabri also takes on part-time work but it is not regular. He has done away with his credit card, former indulgences and short holidays, which were part of his KL lifestyle. Sabri has nothing left from his salary at the end of the month but is fortunate to have a sister who will help out when the need arises. 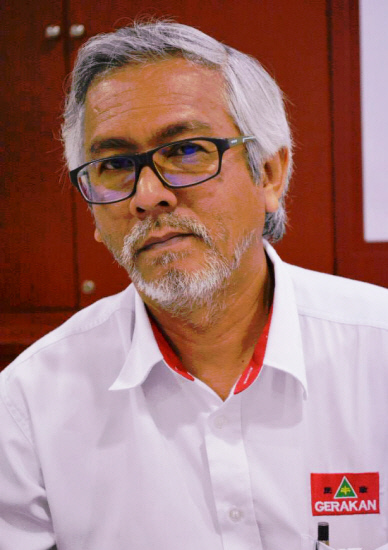 Amiruddin Mansur from Bukit Jambul works as a clerk at an institution of higher learning. His wife is also a clerk and together, they bring home a combined paycheque of RM3,800 per month. Amiruddin, who has a 10-year-old son, supplements the family income as a delivery man for a fast-food restaurant on weekends which gives him an additional RM300. “I am just starting this delivery job. I used to sell second-hand clothes at the flea market at Lorong Kulit but the local authorities said I had no permit so I had to stop. “I will deliver fast food on Saturdays and Sundays. It is an eight-hour job. It will get me an average RM300 a month,” the 32-year-old said. Fish, chicken and meat take a chunk out of his monthly food bill. The family have also stopped buying Anlene milk powder (more than RM30 for a 1kg packet) as it is too expensive. “We have switched to Dutch Lady. It is a few ringgit cheaper. If there is a promotion for Anlene, then we will get it,” he said, adding that they mostly shop at wet markets and hypermarket. By the end of the month, Amiruddin will have nothing left in the kitty and resorts to borrowing from relatives if there is an emergency. He does not have a credit card. Auxiliary policeman Saiful Roslan takes home about RM2,700 monthly while his wife, who operates a chicken rice stall near their home, brings in an additional RM1,000 or so. “Sometimes she earns less than RM50 a day after minusing all the costs. On a good day, like when there is no heavy rain, she can make about RM100. Usually at the end of the month, it is around RM1,000 or so,” said Saiful, 27, who lives in Batang Kali. As a couple without kids, their monthly big spends are on food, rent and the car loan. Saiful uses a motorbike to commute to work in Sg Buloh. The couple shop for fresh food and groceries at hypermarkets, such as Tesco, NSK and Econsafe. “The most expensive item is fish. Even rice is expensive these days ,” said Saiful adding that he usually eats a hearty breakfast at home and skips lunch at work or eats bread if he gets hungry. He makes sure that at least RM100 is saved each month for an emergency. 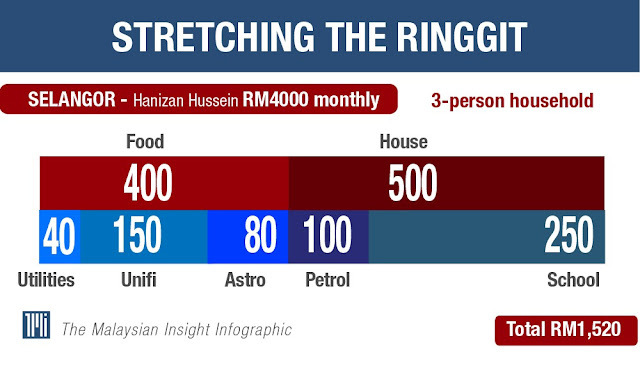 Hanizan Hussein’s family of three live off her husband’s monthly salary of almost RM4,000. “We live a very simple life,” said the 45-year-old cleaner. They do not own a car and get transport from her extended family who live nearby. They spend around RM400 on food per month, and the most expensive item is prawns. “My daughter does not eat fish, so we will buy prawns twice a week,” said Hanizan who shops for fresh food at the grocery shop near her house daily. She spends no more than RM15 each time and the bill usually comes to less than RM10 for a dinner for three. Her biggest splurge is at a book fest twice a year when she spends an average of RM500.